You may not remember me; the last time we talked was nearly four years ago. 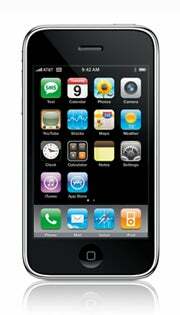 I was impressed with your promises that I could soon watch my favorite movies and TV shows -- so impressed I didn't hesitate to put my iPod Photo on Craigslist and preorder a black, 60GB iPod Video from your Website. Since then, you have betrayed me. I can forget the facts that you now have variable priced songs; don't offer a solution for putting movies I have on DVD on iTunes; and that my iPod, like the two before it, mysteriously started acting quirky as soon as you released a new model. I cannot forgive you for making one of your newest and frankly, coolest gadgets I have ever seen, essentially inaccessible to me. I am a college student and money is usually tight. I admit I could probably raise funds to buy a new iPod, but the last thing I want is to pay $30 a month for it after that for data service. That's right, I don't have an iPhone. My left pocket gets a little tight from inconveniently carrying two devices that so many have traded in for one. I have spent the last two years despising you, but you have managed to catch my attention again. I recently read you have been talking with Verizon Wireless about bringing a smaller and less expensive iPhone to its network. Less expensive is good, but what about those monthly data fees? I think you are alienating many potential customers who are willing to pay a premium upfront for a nice phone but aren't concerned about accessing the Web anywhere and everywhere. Honestly, it would be cool to check my e-mail while walking between classes, but I don't use Twitter or Facebook and I don't see constant connection as a necessity. Comcast is lucky I pay my $45 every month to have Internet access at home; don't expect I'll bend over and pay for access to the same Internet twice. Fees aside, the potential of keeping Verizon as my wireless carrier is exciting. I'm not going to say that I'm a fan of my service, but switching sounds like a lot of work. Also, nice work on adding MMS messaging to the 3.0 OS. Photo messages have daily use in my life and I was appalled when my iPhone-owning friend wasn't able to get my messages. I might be getting your advertising wrong, but shouldn't there be an app for that? I've also read you might add video functionality, which would be pretty cool. Like many people my age, I love videos. I recently started looking into buying a Flip Mino so I can join the masses on YouTube. I might hold out to see what you have to offer later this year. After all, I can only fit so many things into my pockets. I have to be honest, Apple. If rumors are true you might have recaptured my interest. I just have one favor to ask as a friend: Don't forget me again. I can only take so much neglect before I take my MP3 player/phone purchases to where I buy my computers. After all, isn't Microsoft working on some sort of media player/phone? PS - I was just kidding about that Microsoft thing. I mean, seriously -- they lost me at Pink.